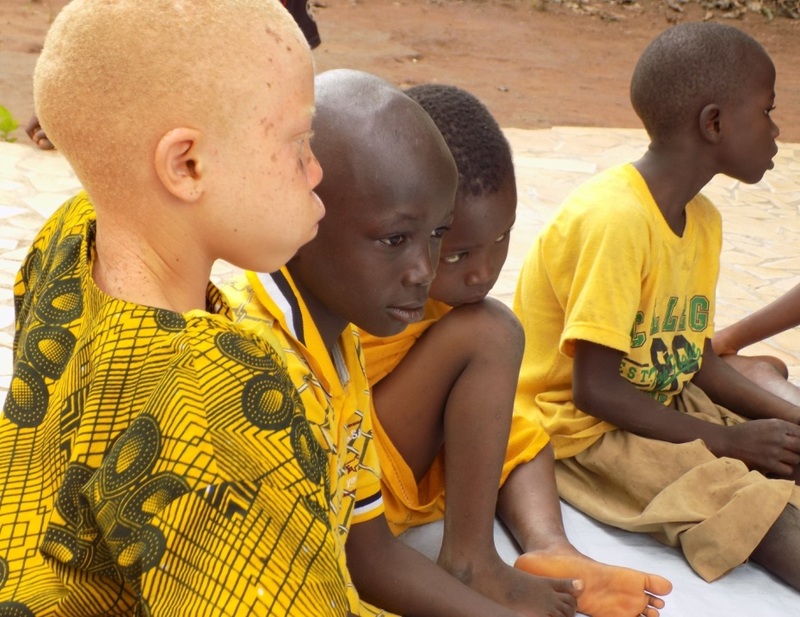 Alhassane, a once shunned 12 year old albino boy from Guinea has found tolerance, respect and friendship at a child-centred space in Guinea where many of the children are Ebola orphans. 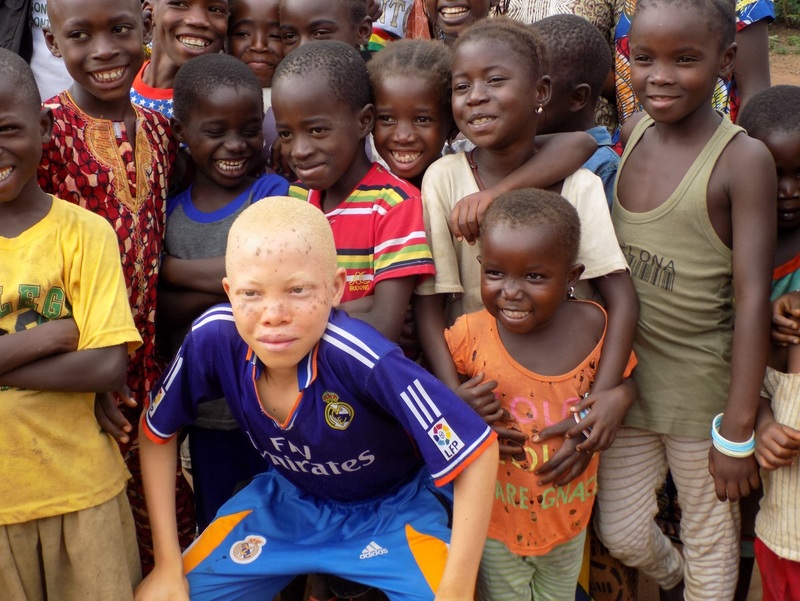 Alhassane, 12, an albino boy from Guinea, has made friends and found acceptance at a Child-Centered Space in his village. But at a Child-Centred Space for children in Guinea, 12-year-old Alhassane made new friends. Ironically, many of them had been shunned themselves after their loved ones were infected with the deadly Ebola virus. Now these children knew the kind of loneliness Alhassane had experienced his whole life, and it taught them greater understanding and empathy. Many people, even children, learned how it felt to be shunned or whispered about during the 2014-15 Ebola outbreak in West Africa; anyone who had contact with a sick person was often not welcome in schools, offices or others’ homes. People were terrified of the virus. But Alhassane had known all about this kind of loneliness long before the epidemic because he is the only albino person in his village. Ironically, the Ebola outbreak would lead to greater understanding of his condition and a willingness among other children to be Alhassane’s friends. 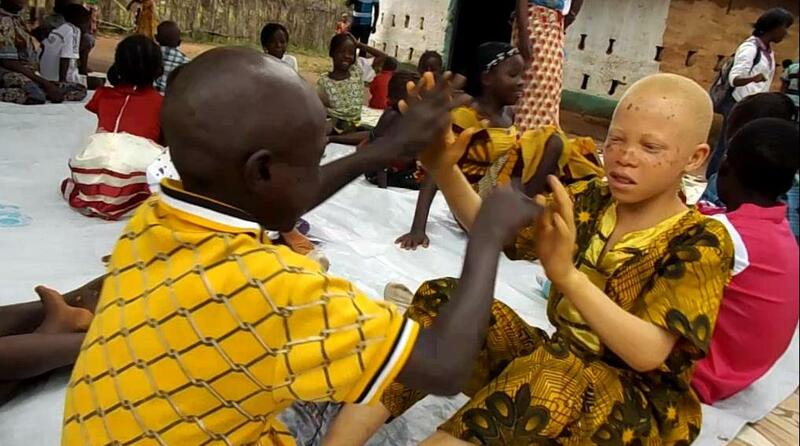 According to the Mayo Clinic, albinism is a group of inherited disorders characterized by little or no production of the pigment melanin. Alhassane has very light skin, hair and eyes, and is sensitive to sun exposure. Often, people with albinism also have poor eyesight and a much higher risk of skin cancer. They also experience discrimination, particularly in places where the condition is not understood. Alhassane’s village was hit hard by the Ebola virus in 2014 and 2015, and many children who lost loved ones to the disease went to a Child-Centred Space (CCS) started by ChildFund Guinea with support from UNICEF. Alhassane was lucky because his family did not get the virus, but he, too, benefited from going to the CCS. The centre united orphans and other children who spent a couple of hours together every day under the guidance of social workers who provided psychosocial support. They played and interacted together, expressed their feelings, told stories and learned how to accept each other. But after a while, things started to change for Alhassane. He gradually made friends and joined in many activities at the centre. Children of all ages play circle games, solve puzzles and listen to stories. No one picks on Alhassane or shuns him.